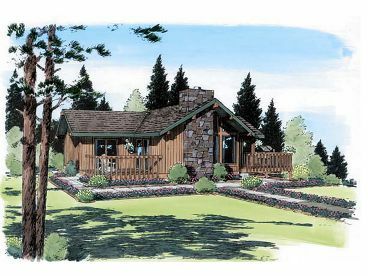 Vacation House Plans | 2 Bedroom Vacation Home Plan Design # 047H-0082 at www.thehouseplanshop.com. First Floor 1137 sq. ft. 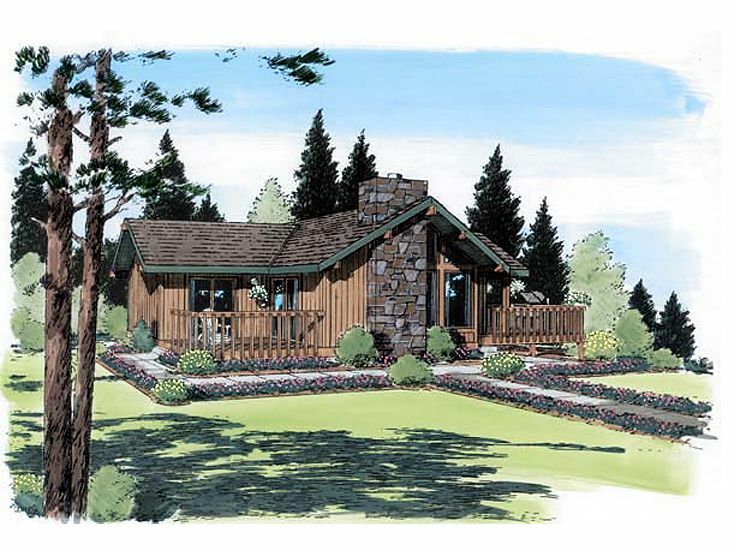 Perfect for a vacation home or retirees looking to downsize, this small and affordable ranch house plan delivers relaxed living with a rustic feel. With its stone chimney and a pair of decks, this one-story is well suited for a scenic or wooded lot. The decks encourage the enjoyment of nature while providing a great place to kick back and relax after a busy day. Upon entering, the vaulted living room greets all with its crackling fireplace and windowed views to the front. 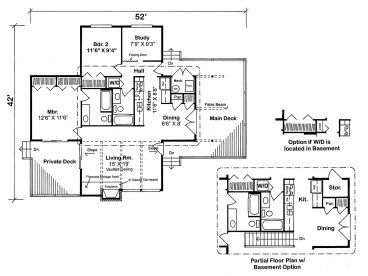 The compact kitchen and adjoining dining space are situated nearby creating an open arrangement that keeps everyone involved in conversation. Pay attention to the peaceful study, just right for a home office or a quiet reading place. Two bedrooms and two baths complete this empty-nester or tranquil vacation house plan.